Jay Bakker explores the radical, transformative, and inclusive message at the heart of Jesus's message: grace. If anyone ever had a reason to leave the faith, Jay Bakker did. The son of mega-televangelists Jim Bakker and the late Tammy Faye Messner, Bakker was only 11 years old when his parents' PTL ministry was caught in a high-profile accounting fraud scandal, and his family was devastated by his father's affair and his parents' subsequent divorce. A disillusioned Bakker turned to drugs and alcohol and left his childhood beliefs behind. But along the way, an interesting thing happened: Bakker came to understand, through all his pain, what God's grace was really all about. 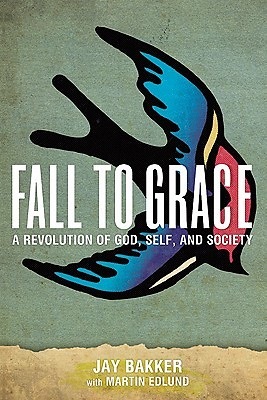 FALL TO GRACE re-envisions the true nature of grace and what it means in everyday life. With disarming humility, poignant observations, and spot-on theology, Bakker challenges Christians to reassess their understanding of salvation and invites non-believers to see Jesus with fresh eyes.